I was visiting two friends yesterday and found them sitting at a chess table. "Oh, how annoying, you have set the starting position but some pieces must be missing and you cannot play. - What do you mean ?, asked Fabi, who was sitting behind the dark pieces. Nothing is missing, the game is already started and we have played four moves each. But Mag is thinking hard now, I must have put him in trouble already ! - No trouble at all, answered Mag, I am already two pawns up." You will understand my mistake once you consider the position that was on the board at that time: all the pieces were on their possible starting squares, but four of them were already taken ! where all the remaining units stand on the same squares as at the beginning of a game. If this proves too hard, I will post the position as a hint and only ask for how the game went. This puzzle is an adaptation a chess problem by Ernest Clement Mortimer & Andrei Frolkin published in Die Schwalbe 71 in october 1981. Spoiler: Mag won this game. But once this game finished, they went for a second round ! 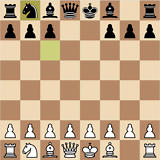 For starters, white's moves 2, 3 and 4 must be captures. This greatly limits the available options and brings the problem within the limits of solvability. White cannot move a pawn: if he does, it must get captured. This means that all the captured pieces must be pawns. 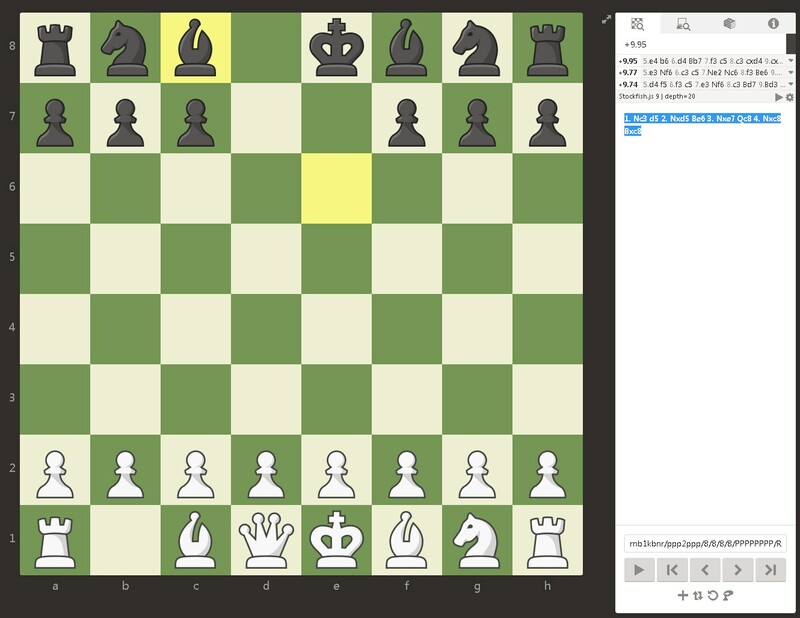 This means that the white pawn must be the piece doing all white's capturing: any other piece doesn't have the time to move back to its starting position, and as noted earlier, all the captured pieces must be pawns in this case. From there, we can deduce that if white starts with a pawn, white's fourth move must be exactly "pawn captures pawn on the seventh rank", and of course there is no way for black to capture it back with a pawn. For white to be two pawns up, and 4 pieces to have been taken in total, this implies that black has lost 2 pawns, and each player has also lost 1 of the same type of piece, meaning that black has lost 3 in total, and white just the 1. How Many Speedy Knights on a Chess Board? Find the shortest chess game with 18 queens?